Kristina Lowe of Oxford is accused of two counts of manslaughter for the 2012 crash in West Paris. PORTLAND – The attorney for a 20-year-old woman accused of being drunk and texting at the time of a 2012 crash in West Paris that killed two friends argued Monday that there is no evidence she was texting at the time. James Howaniec, who represents Kristina Lowe of Oxford, spoke during oral arguments before the Maine Supreme Judicial Court seeking to have statements his client made to a Maine State Police trooper while she was at Maine Medical Center deemed inadmissable in court. Lowe, who was 18 when the crash occurred in January 2012, is charged with two counts of manslaughter, two counts of aggravated criminal operating under the influence and one count of leaving the scene of an accident. Her trial has been postponed pending a ruling from the panel of seven justices. Howaniec also said that Lowe’s blood alcohol level taken after the crash was 0.04 percent, within the legal limit for an adult, although Lowe is still younger than the legal age to consume alcohol. Prosecutors have appealed to the state’s high court seeking to overturn a December 2012 decision by Superior Court Justice Robert Clifford to exclude some of the statements Lowe made to a state trooper while she was at the hospital being treated for her injuries. Clifford’s decision excluded some of her statements but not all of them. Lowe told police that she had been texting at the time of the crash, admitted to drinking and at one point denied that she had been driving the car. 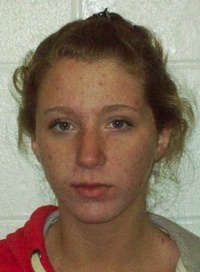 Two teenagers were killed in the Jan. 6, 2012, crash: Rebecca Mason, 16, of West Paris and Logan Dam, 19, of Norway. Another passenger, Jacob Skiff of Paris, was injured. Oxford County Assistant District Attorney Richard Beauchesne argued before the panel of judges that the state trooper had told Lowe in the hospital that she was free to stop talking at any time, meaning that Lowe’s statements were voluntary. Clifford had ruled that any statement Lowe made at the beginning of her interview with police was admissible, but ruled that any statement she made after the trooper left the room and returned to tell Lowe that the passengers in the car had died was inadmissible. At that point, the lower court judge found that Lowe was then a prime suspect in the case and needed to be read her Miranda rights, informing her that anything she said could be used against her. Beauchesne argued that Clifford’s ruling “gave it rather short shrift” and that all her statements should be admissible. Outside the courthouse after the hearing, Howaniec said that if the supreme court rules in his favor or simply upholds Clifford’s ruling, the case becomes more favorable to his client. “We feel confident that the District Attorney’s Office is going to do the right thing if the suppression ruling is upheld,” Howaniec said, adding that prosecutors could dismiss the case outright or offer a plea bargain to lesser charges. Howaniec said that without Lowe’s statements that she was texting and drunk, which aren’t provable by other evidence, prosecutors can’t find her guilty of manslaughter. He said she was speeding, going 70 mph in a 50 mph zone, but that that doesn’t reach the level of manslaughter. Dam’s mother, Deborah Sande, interrupted Howaniec as he spoke to reporters. “She needs to take responsibility for her actions,” Sande called out before turning on her heel and walking swiftly away. Lowe, who was a top student at Oxford Hills Comprehensive High School, remains free while the case is pending and is currently taking college courses, her attorney said.